Purchase And I Love Her in the US in print at Amazon, Barnes & Noble, Books-A-Million and IndieBound. And don’t forget to grab the previous titles in the Green Mountain Series Today! With more than 3 million books sold, Marie Force is the New York Times, USA Today and Wall Street Journal bestselling, award-winning author of more than 30 contemporary romances. Her New York Times bestselling self-published McCarthys of Gansett Island Series has sold more than 1 million e-books since Maid for Love was released in 2011. 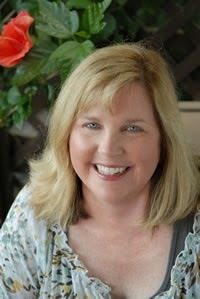 She is also the author of the New York Times bestselling Fatal Series from Harlequin’s Carina Press, as well as the Treading Water Series and numerous stand-alone books. All You Need is Love, book 1 in her new Green Mountain Series from Berkley Sensation, was a New York Times and USA Today bestseller in February. The second book, I Want to Hold Your Hand, will be out in June, and the third book, I Saw Her Standing There, is coming in November. In 2014, Marie will have eight mass-market print releases—the first five Fatal Series books from Harlequin and the first three Green Mountain Series books from Berkley. While her husband was in the Navy, Marie lived in Spain, Maryland and Florida, and she is now settled in her home state of Rhode Island. She is the mother of two teenagers and two feisty dogs, Brandy and Louie.